I've been to numerous racetracks such as Woodbine & Greenwood Racetrack but this is the very first time I've visited the Mohawk Racetrack in Campbellville, Ontario which is just 1hr away from Toronto. It is only recently that I'm learning all the intricacies of horse racing but it's been an exciting way to learn & begin! 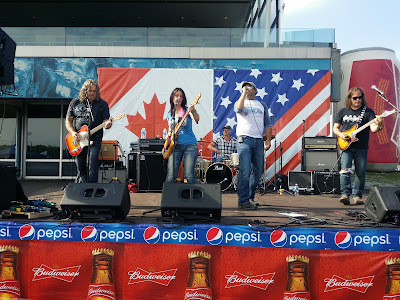 The Pepsi North American Cup at Mohawk Racetrack is one of the largest Canadian Races in horse racing. The attendance for this event was at capacity as a $1 million purse was at stake. 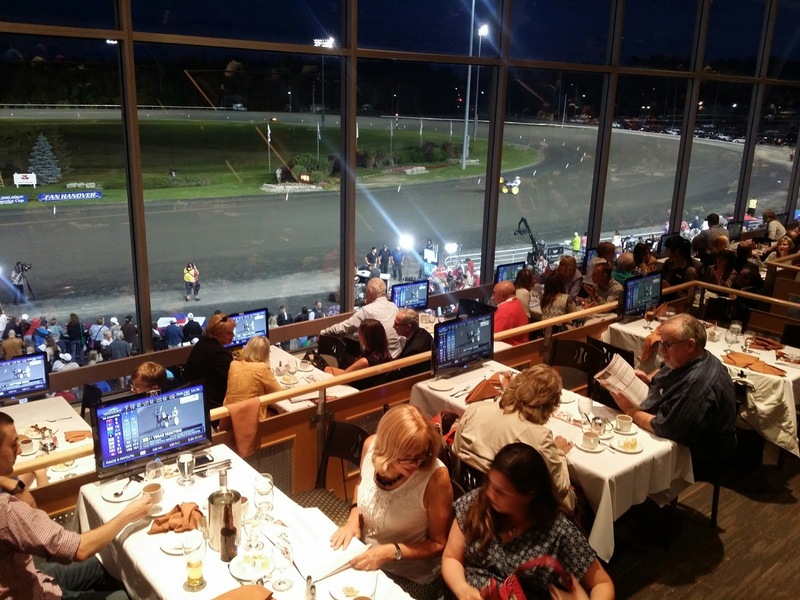 Mohawk Racetrack has numerous entertainment activities for everyone to enjoy. 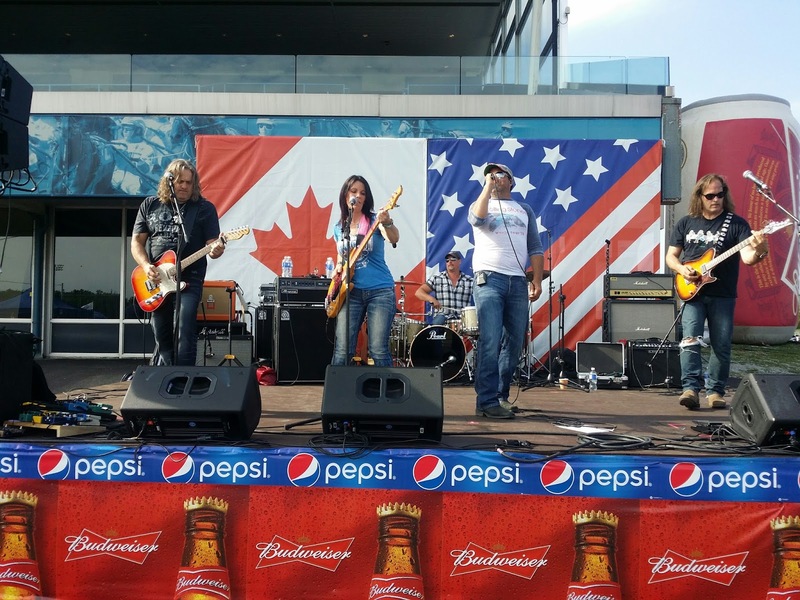 Some of the highlights include live music, Rib & Food Truck Corral and "Beerville" Beer Gardens. 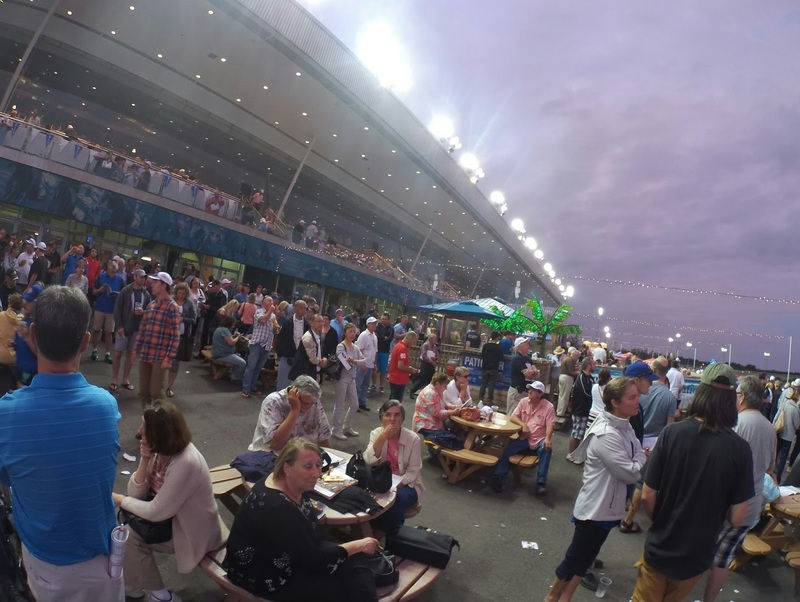 The atmosphere at Mohawk Racetrack was amazing with so many different activities to participate in. My first experience at Mohawk was to try the variety of food options available. They have an area dedicated to Food Trucks and a BBQ stand. The mouthwatering BBQ ribs are amazing and you must give it a try the next time you visit Mohawk Racetrack. Bad Wolf BBQ ribs & Food Truck Corral at Mohawk Racetrack. My plan is to learn all the betting options available in horse racing for future strategic planning ;-). I made a simple $2 bet for a horse to WIN but I lost! It was a great feeling of anticipation to cheer my horse on! It's hard to explain, you just have to be there to experience it. I look forward to learning about "Triactor, Exactor & Daily Double bets." If you have any tips on horse racing feel free to tweet me or leave a comment below this post. An evening at Mohawk Racetrack leading to the main race. The atmosphere at the Pepsi North American Cup was like being at a big backyard party. Join me in this blog series as I experience & learn more about Horse Racing at Mohawk Racetrack. The winning horse of the Pepsi North American Cup was Wakizashi Hanover-Breeders are from Halifax. I learned that the breeding of the horse can also play a factor in the betting. I bet you didn't even know that horses sweat. All of this plays into the betting of a horse race, see I'm learning here! I had the opportunity to see the reserved seating and dining area at Mohawk and look forward to this experience on my next blog. They have a terrace dining room so for those who know me, know that I will definitely be placing bets on that one! Thanks to Mohawk Racetrack you could WIN a $1,000 Mohawk racetrack Giftcard. Snap a selfie at the racetrack & post to Twitter using hashtag #OffToTheRaces These selfies must be taken in front of the racetrack. Good Luck and start clicking away! Click, click, click! Disclosure: This post was created in partnership with Mohawk Racetrack. however, all opinions expressed are 100% my own. Floorplay Socks made in Italy. Floorplay Socks is my "go to" spot for all my socks! I have blogged about them numerous times before and enjoy the customer service I consistently received at this family owned company. 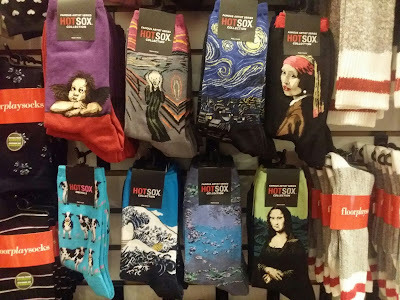 Since the last time I blogged about Floorplay Socks, they have expanded with a secondary location near Yonge & Eglinton. They consistently provide the same exemplary service if you are a business man buying 20 pairs or a teenager buying a pair of $5 socks. Floorplay has no barriers when it comes to providing customers with a smile. Floorplay socks collection is quite extensive. One of the key factors to their success is the support of local or Canadian vendors and manufacturers. 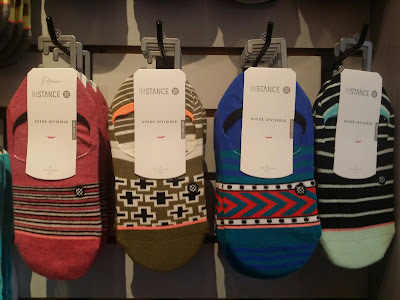 They only carry quality socks at affordable prices. 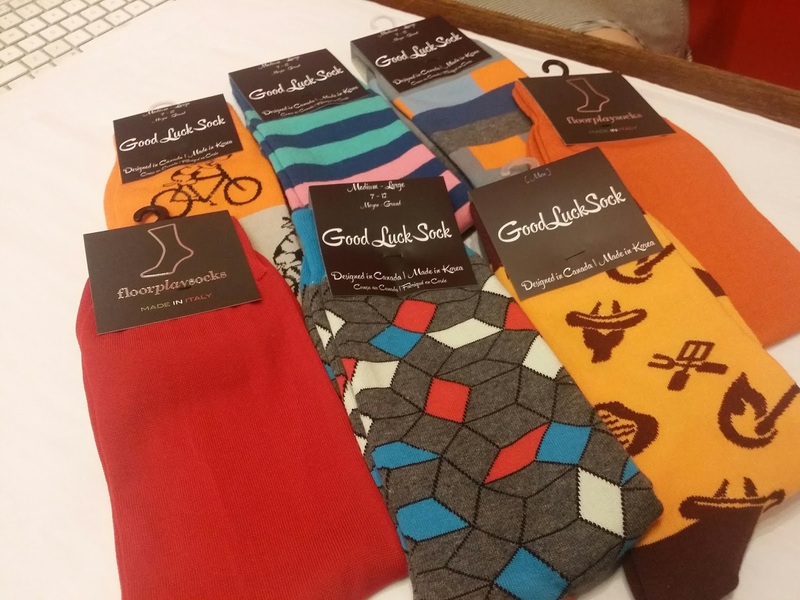 Janet, the owner, will not only select the socks but will see how they hold up after a wash in the laundry. Floorplay has the largest selection of InStance socks. These socks are high quality & stylish. They have a silicon gel inside the top of sock that keeps your socks from sagging. How cool is that? 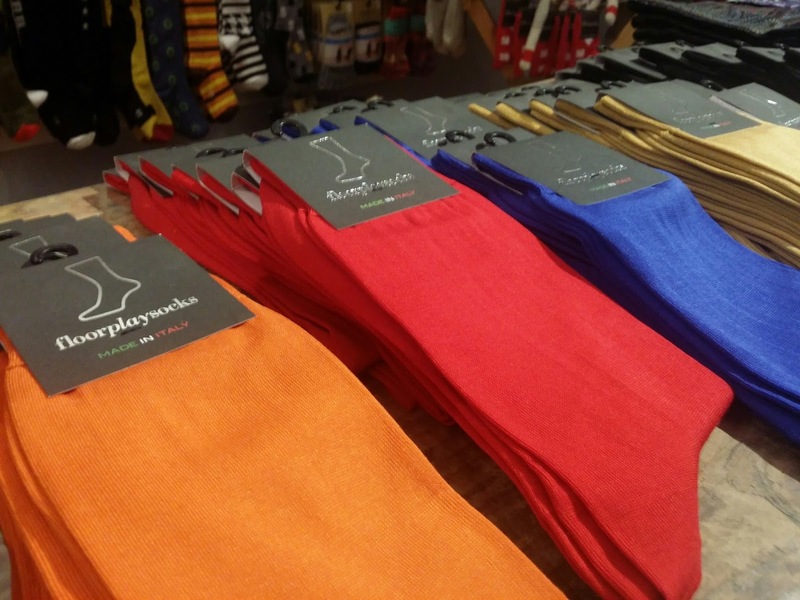 Floorplay socks carries mens, women's and infant socks & women's underwear/activewear. Thanks to Floorplay they have given me the opportunity to giveaway Floorplay Socks & Good Luck Socks with a total value of over $100.00. This would be a perfect Father's Day Surprise! Enter for free and good luck!